July 14, 1999, LG Crabo & J Troubridge. 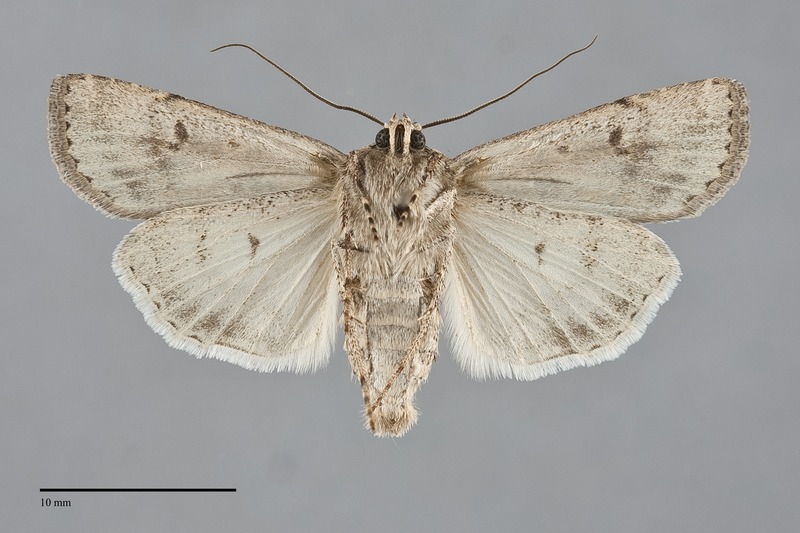 Euxoa manitobana is a rarely-collected medium-sized brown Euxoa (FW length 14–16 mm) with pale-rimmed orbicular and reniform spots, an indistinct light tan fold, toothed postmedial line, and light tan to silver-gray costa that flies in grasslands and montane forests. The forewing is warm wood brown, occasionally gray-brown, darker brown in the cell, and gray near the outer margin. The subterminal area is mottled gray and tan, slightly streaked due to dark veins. The fold is pale tan or gray-tan distal to the claviform spot, usually blending slightly with the adjacent ground. The lighter-colored costa is gray or tan, interrupted by the origin of the transverse lines. The cubital vein is light gray in some specimens. The transverse lines are black, double, with lighter gray or tan filling. The basal line is usually filled with light gray and forms a black spot near the base of the cubital vein. The antemedial line is irregular, angled slightly toward the outer margin. No median line is present. The postmedial line is usually single, gray, occasionally with a weak even outer component, scalloped with long teeth on the veins, pulled basad and the costa, nearly perpendicular to the wing lateral to the reniform spot, and bent 45° toward the base on CuA1. The subterminal line is light gray or tan, often yellowish, undulating. It is preceded by a dark gray spot on the costa and a shade with several short black wedges from the lower cell to near the posterior margin. The orbicular and reniform spots are outlined in black, lined with silver gray, and filled with gray. The orbicular spot is a tilted oval, often open toward the costa. The reniform spot is kidney-shaped. The claviform is small to moderate-sized, black. The hindwing is pale tan-gray with smoky gray moderately well-defined marginal band, thin discal spot, veins, and terminal line. The hindwing fringe is white with a striped ochre and gray base. The head and most of the thorax match the ground color of the forewing, powdery gray-tan to warm brown. The base of the collar is pale in specimens with pale costa, separated from the darker edge by a thin black transverse line. A frontal tubercle is present. The male antenna is weakly biserrate. Euxoa manitobana is a member of the subgenus Orosagrotis. This species can be recognized by the combination of smooth gray-brown or brown color, lighter tan or gray costa and mottled subterminal area, ill-defined pale fold, and strongly toothed postmedial line. It is most likely to be confused with E. perolivalis, E. aberrans, and E. ridingsiana—all members of the same subgenus. Compared to the olive-gray E. perolivalis the ground color of E. manitobana is browner, and the pale streak distal to the claviform is more diffuse and less yellow. Only relatively uniform specimens of E. manitobana lacking significant contrasting pale costa and streak are likely to be confused with E. aberrans. These E. manitobana lack the mottled salt-and-pepper appearance of E. aberrans. Euxoa manitobana is usually larger than E. ridingsiana, and the veins bordering the cell are much darker, the postmedial line is more scalloped, and the base of the hindwing is darker gray. This species occurs on short-grass prairies on the northern Great Plains. It has been found at middle to high-elevations on ridges in conifer forests in and near the Pacific Northwest. Euxoa manitobana has only been found at several widely separate localities in British Columbia and Washington in our region. It is known from south-central and southern British Columbia and has been found in the Cascade Mountains in Chelan County, Washington. It occurs near the southeastern corner of Idaho and is likely to occur in that state as well. This moth is predominantly distributed outside of the Pacific Northwest. It occurs from Alberta through southern Canada and the Dakotas to the Great Lakes region and southern Ontario. A number of records have been found just east and south of Idaho in western Wyoming, central Utah, and northern Nevada. A disjunct population occurs in the southwestern part of Northwest Territories. 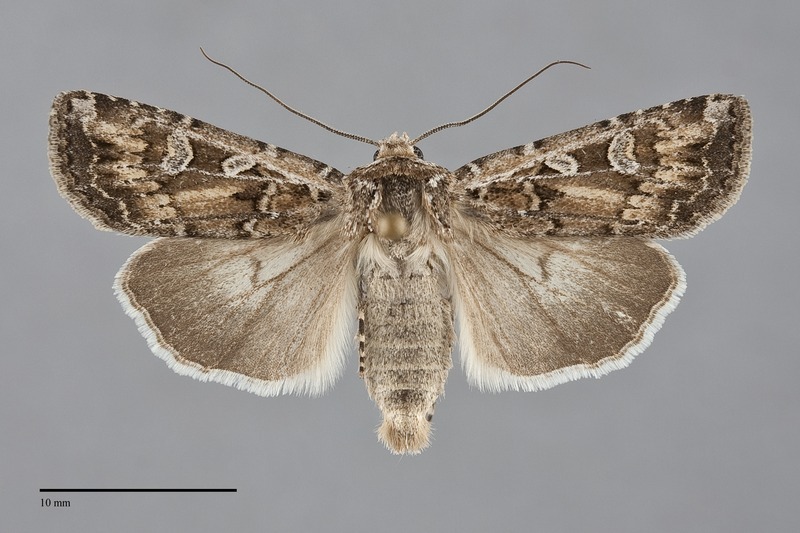 This species is most commonly collected in July and August, including in areas near the Northwest. It is nocturnal and comes to lights.